Together Lancashire in ........ East Lancashire: Fw: Out now! Exciting new e-book "The Interfaith Movement"
Fw: Out now! Exciting new e-book "The Interfaith Movement"
"The Interfaith Movement" by Philip Lewis and Charlotte Dando. "The Church of England has not only created space for the inclusion of other religious voices in the public sphere, but also actively facilitated and funded interfaith activities and must be commended for this. 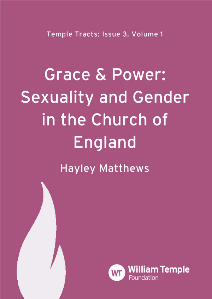 However, for the most difficult conversations to happen and for people from all faith and belief backgrounds to be full engaged, we must seek a truly equal playing field whereby the Church of England does not always assume the leadership role." In 1942, in the shadow of the inhumanity of World War II, Archbishop William Temple co-founded the Council of Christians and Jews. Fast forward nearly sixty years and the question of Christian relations with Jewish people, and now more commonly with Muslims and other minority religions, remains pertinent. Circumstances and contexts have changed, but the difficulty of interreligious or interfaith relations is one which many people of faith (and indeed, many from non-religious backgrounds) are still grappling with. 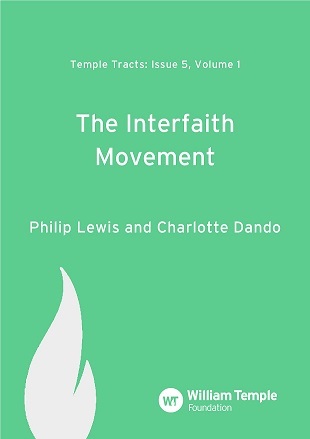 In the fifth book in the Temple Tracts series on religion and public life, Philip Lewis and Charlotte Dando offer a critical introduction to the "Interfaith Movement". The authors track the historic development of interfaith work at both institutional and grassroots levels, with a special focus on Anglican-Muslim relations in England. From reflecting on successful interfaith work the authors move on to asking difficult questions about the role and sustainability of the interfaith movement, and propose a series of recommendations aimed at ensuring that this significant work has a strong and positive future. 'The Interfaith Movement' is available to download as an e-book for just £2.99. 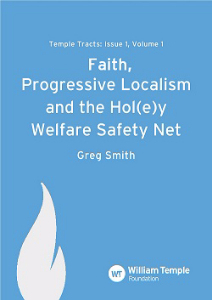 "This is an excellent book about the social implications of welfare of many kinds by cooperation between faith groups and (secular) local authorities in England. Whatever you own views on this matter, this book will set you thinking." "A fascinating read, which makes a timely and profound contribution to the debate. Rev Dr Matthews' research is well grounded and yet honed by years of first hand experience. A must read for all those serious to speak in an informed and authoritative voice." 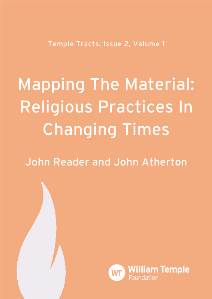 "Mapping the Material' is a very helpful contribution, by two leading thinkers in the field, towards a growing conversation seeking to re-describe and re-configure the relationship between 'faith' and 'the public sphere', a conversation with increasing importance"
"Short, snappy and insightful. 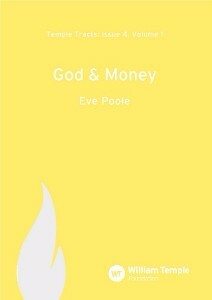 A perfect overview for those who want to wrestle with what Christian theology might have to say about money today." Copyright © 2015 William Temple Foundation, All rights reserved. You are receiving this email because you signed-up to receive the William Temple Foundation quarterly newsletter.